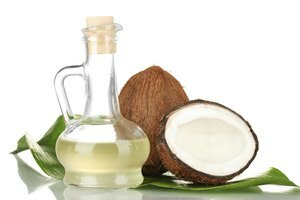 Although basic vegetable oil can do most any cooking job, several other alternatives exist that provide their own flavor and health benefits. In some instances, however, you might find that you wish to mix two or more cooking oils together. In terms of physical properties, this won't be a problem as oil-based products, like water-based ones, are miscible. Conversely, you must consider other consequences that the potential mixture might have to the final version of whatever you plan to cook. 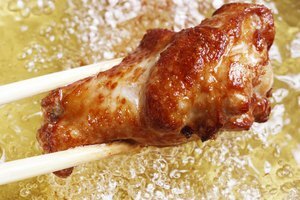 Research the "smoke point" of each oil you plan to combine together to make sure that combining them won't result in a lower maximum cooking temperature. An oil's smoke point reflects the temperature at which it begins burning — past this point, it's likely to ignite. 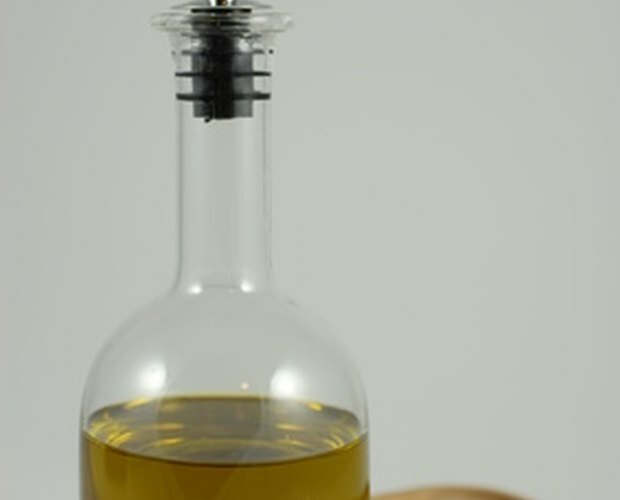 Extra virgin olive oil has a smoke point of 406 degrees Fahrenheit, while almond oil's is much higher at 495 degrees. If you combine these oils, however, you can't expect to be able to heat the mixture to the smoke point of the latter. Make sure the flavors of the oils you wish to combine are compatible with one another. Nutty, fragrant sesame oil can add a full, slightly sweet flavor to Oriental dishes, while grapeseed oil tends to have a floral aftertaste. 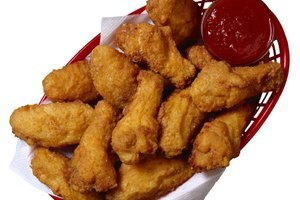 Safflower oil, on the other hand, almost completely lacks flavor — and has a smoke point more than 40 degrees higher than Sesame oil — so it's a more ideal candidate for combination. Whisk the oils together forcefully in a mixing bowl once you've made your final decision. If you want to store your new mixture, pour it into a bottle with a cork or plastic stopper so that you can shake it up prior to using it. Even though oils mix together readily, long periods of stillness can lead to minor separation. 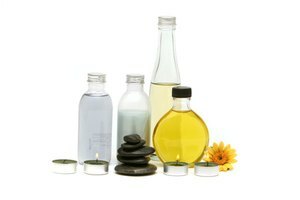 What Are Good Essential Oil Blends for Lotions?